Let’s start from the beginning, introducing ourselves. We are OLIVER & VILADOMS STUDIO. 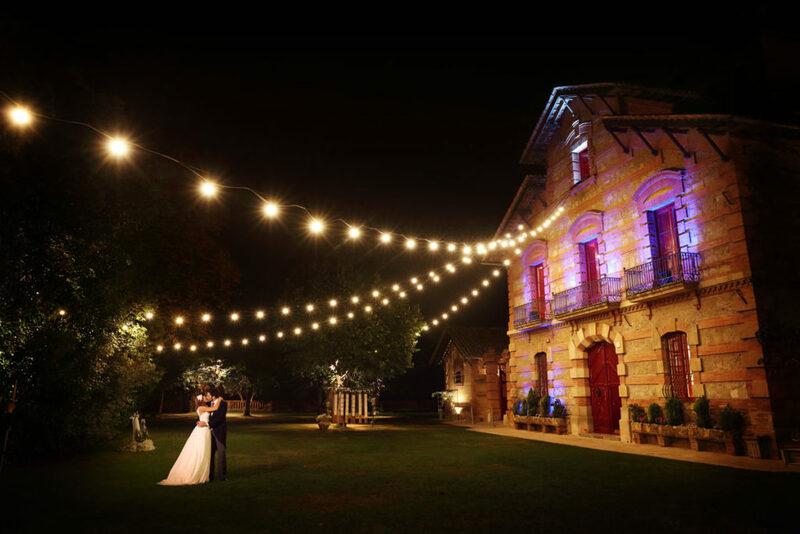 There is no doubt that if you have arrived this far it is because you are looking for Photographers for your wedding, and that this wedding will be located here, in Barcelona. Introducing us, in fact, is as simple as showing our Photographs. Each of these images tells, by itself, the way we are and how we understand Wedding Photography. Our profession comes from a long time and already has a weight in this sector. Years of experience and several prestigious awards accompany. But, without a doubt, the most valuable thing for us, as Wedding Photographers in Barcelona, is your satisfaction with the result of our work, as well as that special trip that we started together the day you chose us. From that day, a unique and unrepeatable journey begins with each couple. It is much more than shooting a camera on a specific day, because a wedding is much more than that. And those, all the aspects that differentiate your Wedding from all the others are what we want to capture. Our team consists of two, Luisa and Luis, together in all areas, professional and personal. The work connection is absolute, achieving this way a working dynamic that is fluid, easy in appearance, and total rapport. We leave the leadership to the images, we prefer to go unnoticed at all times, and that affinity between both gives us the way to get confused with the environment. Because those images, those photographs, have to be able to transmit emotions, and have to be small stories by themselves, stories that talk about what was experienced and felt at that time. For that to be able to happen, our cameras, both in Photography and Video, have to swim between the spontaneity, not between seas of fake poses that only lead to flat images. Our way of working is more than a goal, more than a camera or an aesthetic, it is a story, your story. The image galleries that you can see here are a sample of what we are telling you. A fresh approach, a real result, a couple and the history of their Wedding. And we love catching different moments, like that special “First Look”. Those totally private moments between the couple right before the Ceremony. They are intimate, they belong only to you, before the commotion and the nerves take over the day, a moment only for the both of you. And we want to get to know you, even if your residence is located outside of Barcelona. If you are within the couples that have opted for a Destination Wedding, being that destination the city of Barcelona, we will find ways and occasions to get to know each other and this way be able to focus on your expectations, your illusions, and transform them into fantastic Wedding Photographs and, above all, that this pictures find you the smile and recover the illusion that led you to want to celebrate that Wedding, no matter how much time passes, and no matter how much happens in life. It is a pleasure to be Wedding Photographers in Barcelona. Barcelona is a magnificent city, cosmopolitan without losing its past, on the edge of the Mediterranean, places and landscapes of all colours, sea and mountain, city and green. The possibilities are endless. It’s time to let your imagination fly and enjoy the city, let yourself be enveloped by the city and its surroundings. And, as if it was your own particular movie, looking for locations to fall in love with and merging in them. Knowing how to find the accomplice gesture, search for that look, pursue the dress’s fabric, find the perfect lighting, your best profile, all that and more is our job, because we are Wedding Photographers and you are celebrating yours in our home, in Barcelona. We love couples with personality, and Weddings with a soul. Actually we love the Weddings, live them and narrate them. The images have an incredible strength, whether they are Photographs or Video, both have the capacity to trap time, to lock it up and preserve it intact forever. That may be one of the reasons why the passion for our work far from abandoning us grows with each new job, with each new Wedding. In this effort to not lose the passion we strive hard to be up to date with trends, technology and training. The renovation is mandatory, we must keep with the times. A Wedding is not static, not anymore. Wedding Photography is more alive than ever, it has movement, it has light, and it has a lot to tell. With your Wedding we will grow more, a new story to live and tell. A new experience that will make us better Wedding Photographers. We could be talking about Wedding Photography in Barcelona for hours, but our strength isn’t the words, it is the images, they are the Photographs themselves, as we said at the beginning, the ones that really tell who OLIVER & VILADOMS STUDIO is, which can tell all our experience, our formation, our awards, and our life really, a life that somewhere along the way, intersects with yours. At that point will the trust between you and us be born, that trust which will allow the camera to move naturally between the corners, and that trust which will get you to forget that we are there, so that the truth of each moment is trapped. Work and trust, illusion and a wedding, you can not really ask for more. We are your Wedding Photographers in Barcelona. 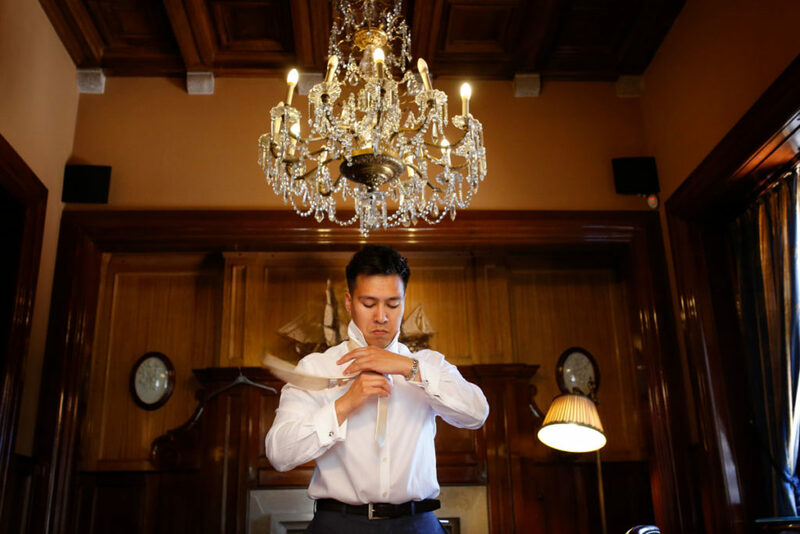 Go back for a moment to the day of your Wedding, that Wedding in Barcelona, special, different, the one that you have pampered it in every detail, in which you have taken care of every face there. That day surely ended up looking short, almost vertiginous. It is what happens when you live unique experiences, when you cherish your nerves for so many months, and they materialize at the same time in one single day. One day, a wedding, full of moments, conversations, gestures, anecdotes, flooded with life. A life in continuous movement. And, as much as you tried to be everywhere at once, a large part of that day, of that life in motion, escaped. It is impossible to be in two places at the same time, it is impossible to experience everything, to see everything. Or, is it? Of course, it is, catching that vital movement, that energy, that joy and keeping it is a reality. A reality called Wedding Video, which consists of allowing the images to speak, leaving room for music, to increase the intensity as you recover those memories, so that you transport to those instants that you could not see, of both of you, as of all the attendees. 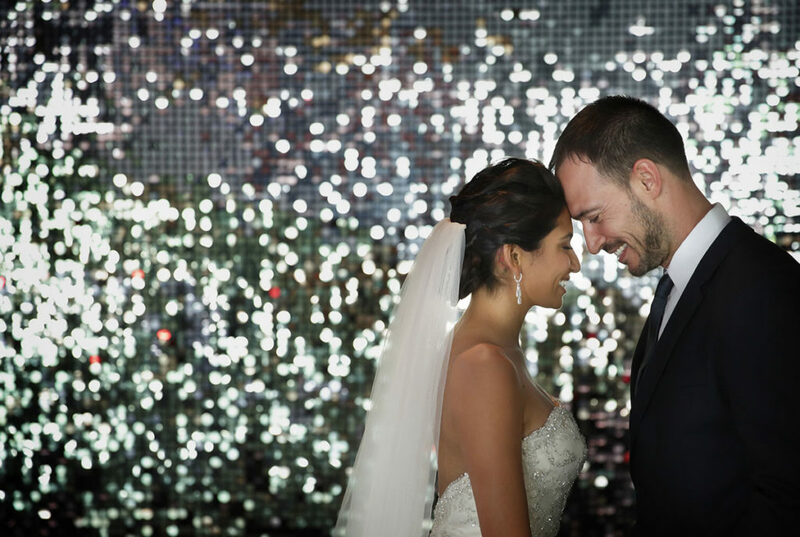 A Wedding Video is the perfect complement to your Wedding Photography in Barcelona. Let’s imagine a situation, an example among many, as the preparations of the Bride and Groom. We are sure that the curiosity to know what happened during those previous hours is great. Not only what happened, but how it was lived, what was said, how the laughter sounded, how many times that tie had to be knotted, the sound of the Bride’s shoes when they stepped on the ground for the first time. Beyond the wonderful photographs that you will have of each of the moments of your wedding day in Barcelona, imagine the possibility of seeing it, of hearing it, of feeling it. It will be like being there, because we would have been, at all times. 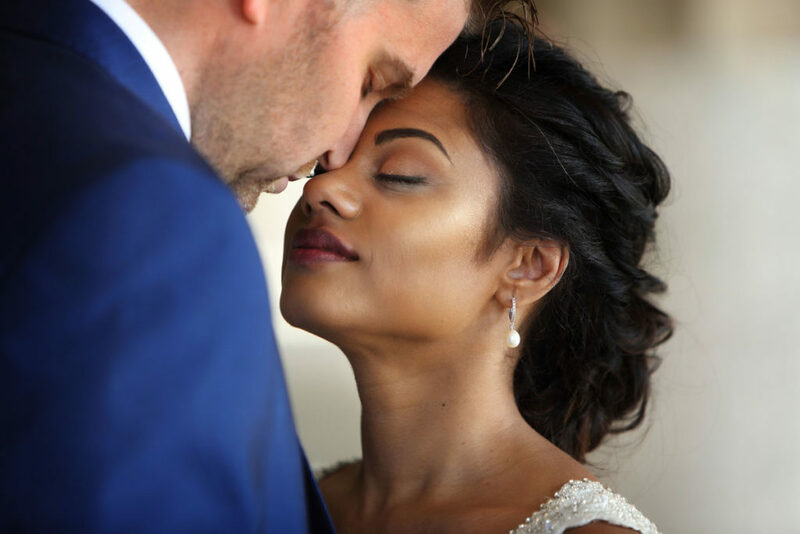 Photography and Wedding Video go hand-by-hand, they complete each other, because each of these perspectives will bring you different sensations and different aspects. Together they make a complete Wedding Report and, above all, a very personal one, because our way of creating Wedding Videos is focusing totally on customization. We do not have two identical or similar videos. Of course, as with the Wedding Photographs, there is a style that defines us, but yours will always be the main one, the story you want to tell, that story that is your Wedding in Barcelona. The possibilities to create your Wedding Video are endless, the magic of the movement, allows you to let the imagination take form. The ability that music has to move you in time and space is a resource that could not be passed by. Words with a special meaning that want to be said, to not be forgotten. Be able to contemplate the same place at different times of the day, play with the camera, and let it dance with you, allow it to sneak in among your guests, without they knowing it, recording those sincere laughter, pursuing the joy. As many ideas as Weddings, as many Videos as couples. But this Video is only yours, with a complete narrative power. We like to think about that past moment in which someone realized that by passing static images at high speed, you would get movement, that person managed to reproduce reality with absolute precision. And then sound was added, the colour, and the limits disappeared. From then on the limits would only be marked by the imagination. The charm of Photography, of Wedding Photography is indisputable, and nothing can steal its beauty or importance. But that Photography has a travelling partner, who speaks a different language and has different abilities. They complement each other, like you, our couple, together is better than separated. The Video gives strength to the Photography, it continues telling the story that the Photography began, puts music in the background, lets the protagonists speak, and grows with you. The Wedding Video is not like in the past, just like Photography it has evolved over the years both in its execution and in its final result. Hiring your Wedding Video in Barcelona does not mean you have to be aware of a strange camera that bothers you and steals spontaneity, but quite the opposite thing. Our professional experience, both in Photography and in Wedding Video, also give us the ability to move naturally and almost stealthily to be able to do our job without being noticed. The result will be a natural and real wedding video. It will be dynamic, spontaneous and also filled with feeling, after all we are talking about a Wedding, your Wedding in Barcelona. There are many reasons that justify hiring a Wedding Video, in addition to Photography, but the most important are you and our desire to tell your story. Together, we can create a unique document, a succession of moments linked together through the thread that is your Wedding. We love shaping your ideas, we love to personalize our Wedding Reports to the maximum, and that’s exactly what we will do with your Wedding Video. Because a wedding is an unrepeatable moment, lived in a different way by each couple. Being in the same city, Barcelona, each frame belongs to a couple, to you, you are the ones that make the difference. More than just providing cameras, we become accomplices of your living style and feelings, and we will mount those images so that when you see them, when you listen to them, you will be in them and nobody else. It will be your Wedding Video in Barcelona. “We do not want poses”, is the phrase that you all have in mind, the phrase that we hear the most when talking to you for the first time. To you, the Grooms, the worry about that aspect is above many others when it comes to addressing your Wedding Photographs. You repeat it constantly because you all have been in friends’ Weddings and you have seen how, in the end, the Photographer who promised spontaneity ends up making the Bride and Groom pose, in one way or another, but the promised naturalism is carried forward. And you lose the real story, your real story that is your Wedding in Barcelona. We want to explain our way of working, which has a name, is called Wedding Documentary Photography or Wedding Photojournalism, and it is exactly what you are looking for. The Documentary Photography of a Wedding has a feature that defines it above all, letting time pass by itself, the events happen in a totally natural way, while our cameras get images, real images and truly spontaneous. By obtaining the images in their pure state, without adulterating them, without pretending a pose or a gesture, we achieve that each Photograph is a story in itself, enclosing a moment full of emotions. And joining all those Wedding Photographs in a Final Report, the stories of all of them make up the day of your Wedding in Barcelona, your history. Documentary Photography of Weddings has the capacity to narrate through the images the reality of a day in your lives, a unique day. We don’t interfere at any time in the normal and natural rhythm of what is happening, between you the grooms, the reactions on the family and friends, because each one of the guests have a lot to tell, and we want to turn it all into images, into a story. Of course, with all the respect for the natural course of the day, we will maintain total control around the technical aspects of both the Photography and the Wedding Video. Ergo, we carefully monitor the spaces, each framing, the light, absolutely everything, to ensure that the beauty of execution is added to the naturalness of the expression. We will look for our best placement, we will pursue those shadows, textures, and light games. Summarizing, Documentary Photography requires a very intense work from us, your Wedding Photographers in Barcelona, a work piece that combines technique and freshness, technology and truth, because that is what we look for, the truth in each image, in each Photograph. One of the great advantages of Wedding Documentary Photography is that it eliminates the fear of the camera, because it is true, while posing the gestures change, the faces show a certain rigidity, you become aware of the camera and that is never pleasant. We capture moments, we catch emotions, and we let them flow. You will always be fine, it will always be the best smile the one that is photographed, because the camera will be working without being noticed. This is how you get Wedding photos full of realism and beauty, that beauty that is released when personality is not hiding behind the fear of being in a picture. As Wedding Photographers we can assure you that every face has a lot to tell, a lot to convey, and the most beautiful thing in a Wedding Documentary Photography Report is to be able to capture precisely that beauty, which is born from reality itself. Special moments, unrepeatable, can not and should not be manipulated, you have to let them flow, but keeping full technical control during every minute of the process. The final result is pure and fresh. You recognize the faces, you relive the experiences. We love to focus Weddings in this way, the Documentary Photography of Wedding gives you the possibility of telling a story with the utmost realism. It is not also called Wedding Photojournalism in vain, referring to the authenticity of each image, to the strength of each Photograph, and to its naturalness. No poses, if they are not a request. We will always take into account your wishes, that Photography with the grandparents or perhaps with the godfather, with the best friend perhaps; we know how to find it, we know how to find the moment in which the day gives us the shot, so that this image is more than just a photograph, it becomes a story, small but immense at the same time, a real story. So, no fear of the photographs, no fear of the poses, or the non-poses that come with small print, because this way of understanding Wedding Photography, which is Documentary Photography, guarantees absolute naturalness. We will become observers, silent companions, and everything relevant, exciting, good and beautiful will be converted into an image. A sincere and dynamic image, full of life, because it will be the fruit of the moment, because there will be nothing prepared, nothing placed where it would not be naturally. No mounts and no false kisses. It is your story, the story of a Wedding in Barcelona that is happening in reality, that does not deserve to be cut or distorted, it deserves to be respected as it happens. Imagine that we are graphic reporters, that are going to cover an event, the real truth of the moment is transferred to your Wedding Photographs. It is the truth which is worked with in Documentary Photography of Wedding, also called, Wedding Photojournalism. And it is the truth of our work, an authentic work in which the most important thing is to get natural images, and Photographs that will forever tell you without deception, what happened that fantastic day, the day of your Wedding in Barcelona.